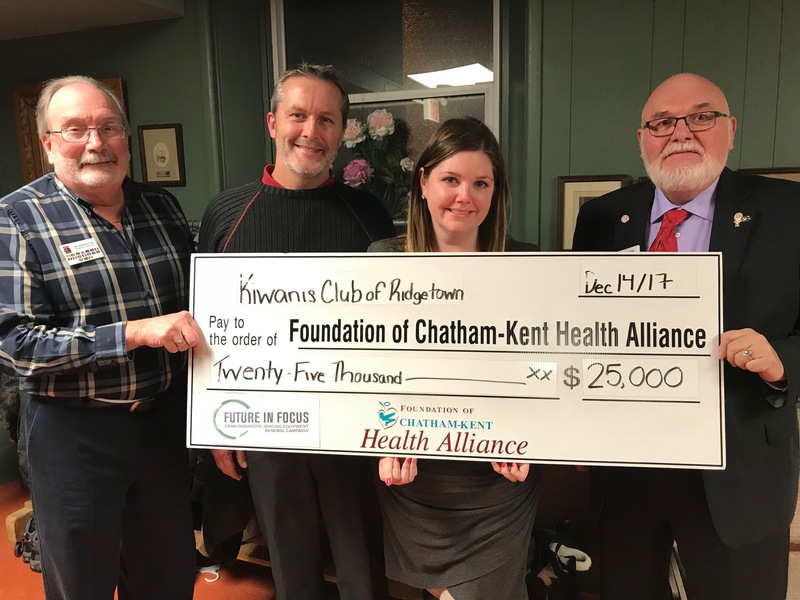 The Chatham-Kent Health Alliance Foundation (CKHA) is thrilled to announce that the Kiwanis Club of Ridgetown has made a very generous donation of $25,000 to the $6.9 million CKHA Diagnostic Imaging Equipment Renewal Campaign. The cheque presentation was held at the Club’s Annual Christmas Meeting last week. This donation marks the largest gift the Kiwanis Club of Ridgetown has provided to the local community.